On Sunday morning December 20, 2015 there will be another installment of an ongoing community-wide training series by Achiezer and Hatzalah. 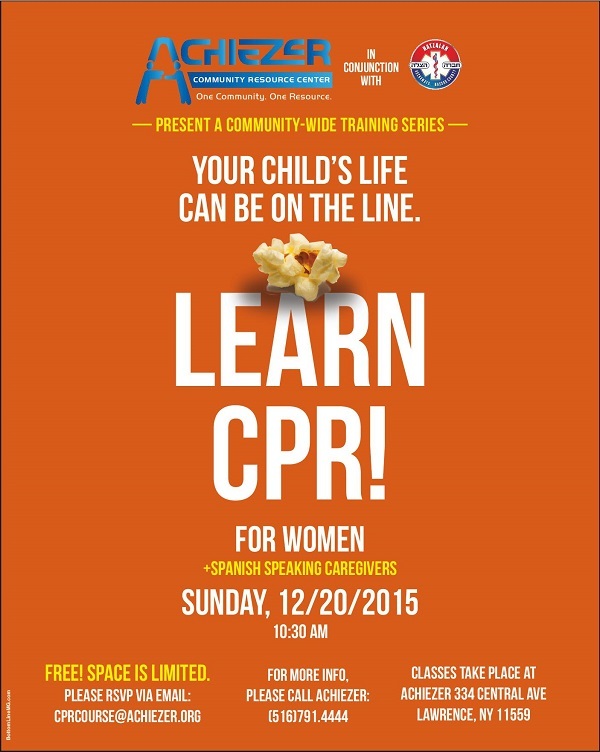 CPR and choking procedures will be taught to women and Spanish speaking caregivers. Classes will take place at the Achiezer office located at 334 Central Avenue in Lawrence beginning at 10:30am.